Yukon's Emergency Measures Organization says people between kilometres 30 to 58 should be prepared to move within two hours of an evacuation order. 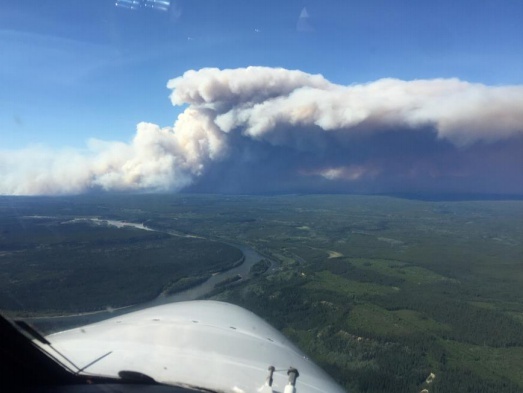 Yukon's Emergency Measures Organization says a fire burning 12 kilometres from the Robert Campbell Highway has grown in size. EMO is issuing an evacuation for kilometre 30 to 58 and says the highway could be impacted in the coming days. Residents in the area are being notified and must be ready to evacuate within two hours of an evacuation order, and structural protection will be placed on buildings within the structure area. According to the alert, those affected should locate all your family members and designate a safe space to meet, gather any necessary medication and documentation, and arrange transportation and accommodation for yourself and family in the event you need to move. The fire is 40 kilometres from Watson Lake and officials say smoke may be visible in the community.